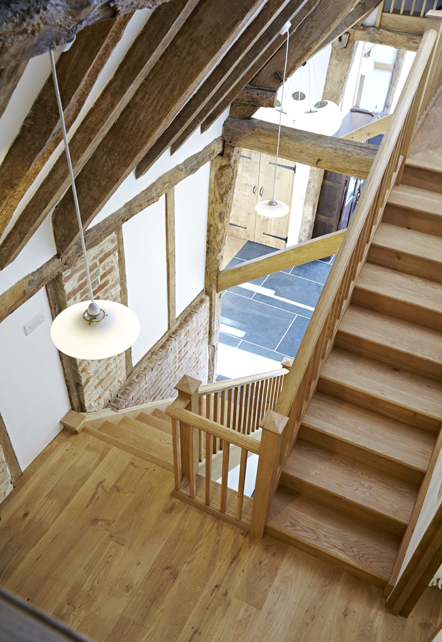 Bright and vibrant characterful converted barn in Suffolk, part of a quaint and traditional farm, with dining space for 29 guests. 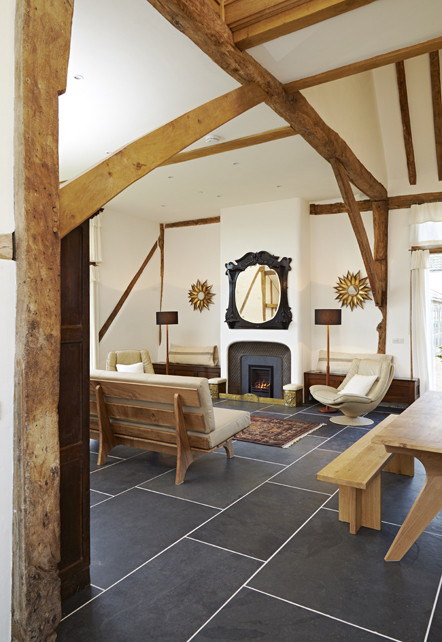 Part of a traditional farm in Suffolk, this converted barn provides a true taste of the country with its wonderful blend of modern and original features, which work together to make a bright, open and inviting space in which to eat, sleep and be merry! 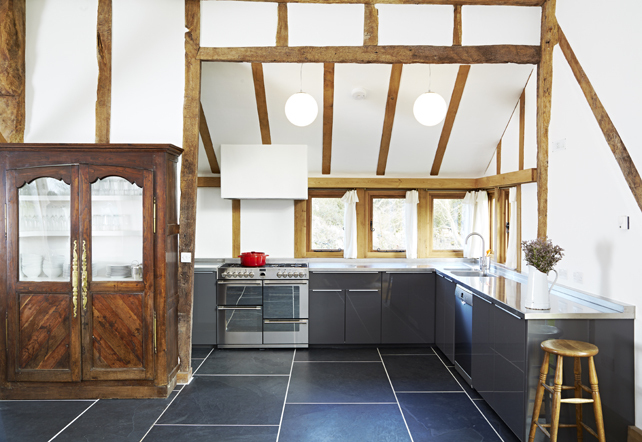 Downstairs in the barn are a wonderfully bright and spacious open plan kitchen/dining/sitting room, which makes excellent use of the available light, ensuring that the room always is basking in sunlight whatever the time of day. The impressive dining table can seat 29 guests, which is the total that the entire farm can accommodate if other properties are booked together. 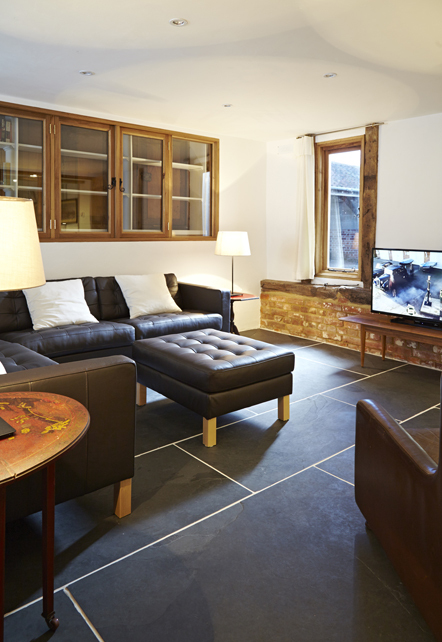 There is also a utility room and games room, which has a pool table, perfect for a bit of friendly competition between family and friends. The barn has a total of 4 bedrooms. Bedroom 1 is a twin room with an ensuite shower room, however this room also shares a large bathroom with bedroom 4, which is a double bedroom. 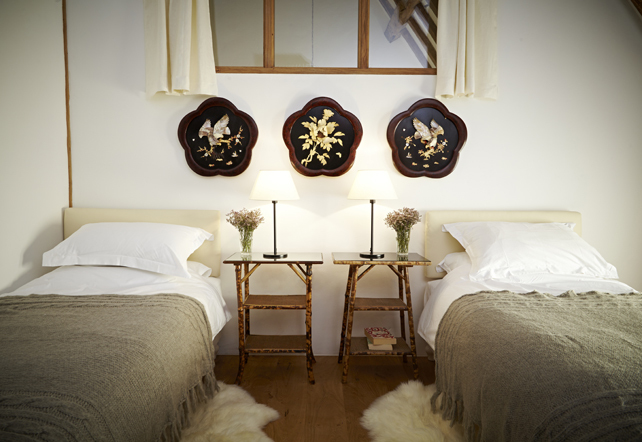 Bedroom 2 is also a twin room, while bedroom 3 is a double with ensuite shower room. Together, the barn can sleep 8 guests. 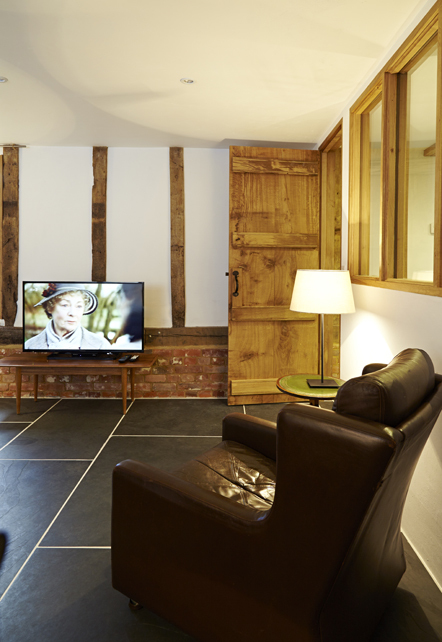 This barn can also be booked with a further 3 accommodation options on the same site which are the Granary, the Milking Parlour and the Farmhouse. For more information please click here.